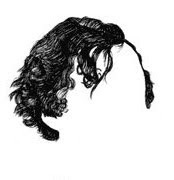 Illustrious employer got a nod in the NYTimes yesterday, but more importantly (and timely), I can't wait to figure out who my presidential hair twin is! Ladies model also available. Okay, one article and one table. And I guess the table is more of a chart. Maybe "Hair to the Chief" would have been a better title?